All it takes is one bad storm or natural disaster to derail your business for weeks or even months. Many small businesses can’t afford the time and money lost through systems repairs, lost sales, and data recovery. That’s why we recommend having a good technology backup plan in place to protect your business in the event of a disaster. With our Backup & Disaster Recovery (BDR) support, you benefit from offsite data storage and easy recovery of vital systems. Everything is fully monitored and managed through our 24/7 network operations center, so we can jump in right away to support you. We can also assist with your voice systems, setting up automatic forwarding to mobile devices, so customers are still able to reach you. Our experts have your best interests in mind and will make recommendations aimed at minimal disruptions after a storm. Leave your business in our experienced hands. 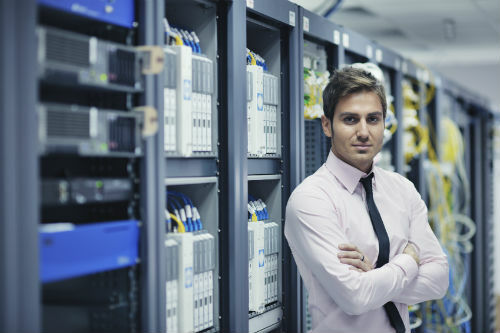 With business continuity solutions from Total Technology Management, your system benefits from our end-to-end management of backups and a simple recovery process.